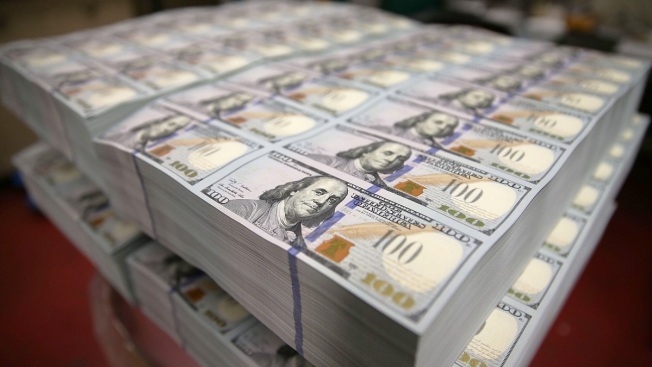 In this May 20, 2013 file photo, new $100 bills lay in stacks at the Bureau of Engraving and Printing in Washington. A new report found that the wealthiest 1 percent of the world holds about 82 percent of the wealth. Over 80 percent of the world's wealth is owned by the richest 1 percent of the world's population, widening the economic inequality gap, according to an Oxfam report released Monday. The charity Oxfam, an international confederation of 20 non-profits working in over 90 countries to end the injustices, also found the wealth of billionaires had increased by 13 percent a year, on average, in the decade from 2006 to 2015, CNBC reported. The report also claimed nine out of 10 of the world's 2,043 billionaires were men. The Oxfam report was released the same day as the World Economic Forum began in Davos, Switzerland, where hundreds of the world elite politics, finance, business and science leaders are expected to attend.